Hire Steve Robinson, an experienced CTO, past winner of Yale University's entrepreneurship competition, E.E. Ph.D., and hands on Ruby on Rails developer. 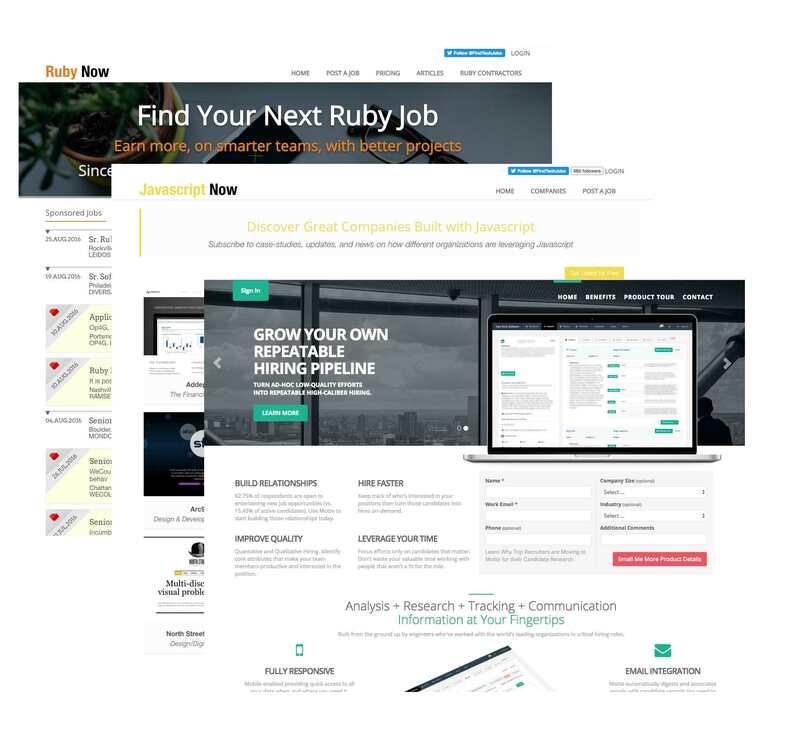 Hands-on Ruby on Rails developer available to work on your project. PhD from top UK university; Post Doc at Yale University; patent awardee; winner of Yale's Y50K business plan competition. Built mission critical applications for NetJets (a Warren-Buffet company), Google project of the month etc. Understands tech recruitment having worked with global leaders in the finance and tech spaces. Sourced 50+ developers for over 30 companies in the last 10 years. Connected with the community, runs multiple technology job boards, hosted the popular Tech Leaders in Action Podcast, as well as interviewed key leaders in the Rails community on Eye and Mind. Need an interim CTO to turn your idea into a reality? Looking for an experienced Rails architect and developer for your project? Looking for help in building your technology team? Got a critical technical issue you can't solve? Want Steve to personally build out your Ruby on Rails project? We only work with the highest quality Ruby on Rails Developers. Screened thousands of Ruby developers over 10 years, to ensure quality. Who is your ideal developer? We then present prescreened candidates for your review. Successfully helped 30+ NYC startups, leading US brands, and non-profits.